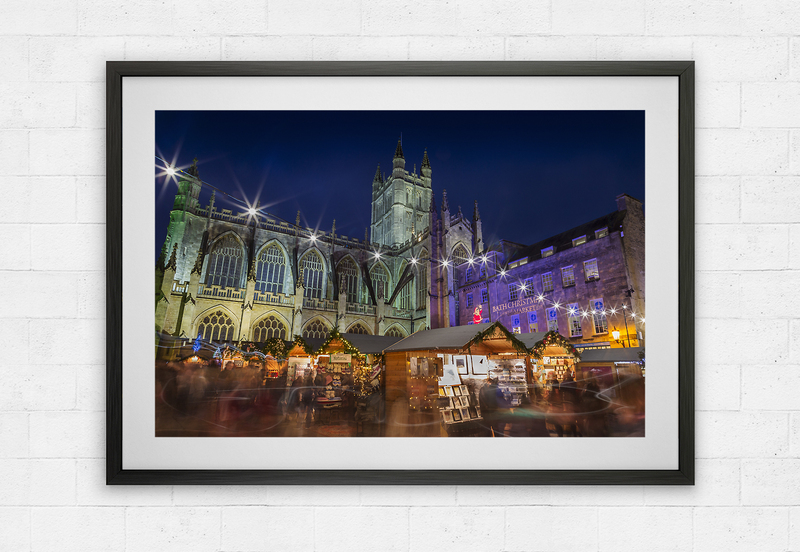 Central to this scene of Bath is the famous Bath Abbey bathed in light from the traditional annual Christmas Market. 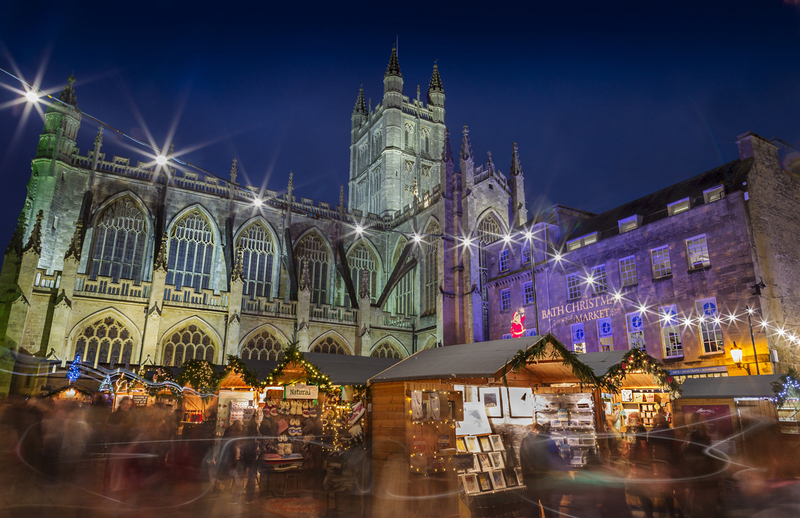 Created with a long exposure the foreground crowds blend into ghost like shapes and swirls of light. (Click here to view a larger image).